Bristol University’s Institute of Greece, Rome and the Classical Tradition (IGRCT) invite you to Ancient and Modern Love, a concert to celebrate the life and work of John Addington Symonds, one of Victorian Britain’s greatest scholar-writers and an early advocate of homosexual rights. 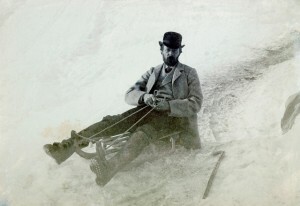 Bristol-born Symonds was an influential scholar, public intellectual, and prolific writer in Victorian Britain. His works, ranging from ancient Greek poetry to the Italian Renaissance and modern ethical issues closely match the Institute’s promotion of research linking ancient and modern. On the 5 December we will hear, for the first time ever, Symonds’ poetry set to music by the acclaimed British composer Ian Venables, recently described by the BBC Music Magazines as ‘one of the finest song composers of his generation’, who will be present at the concert. 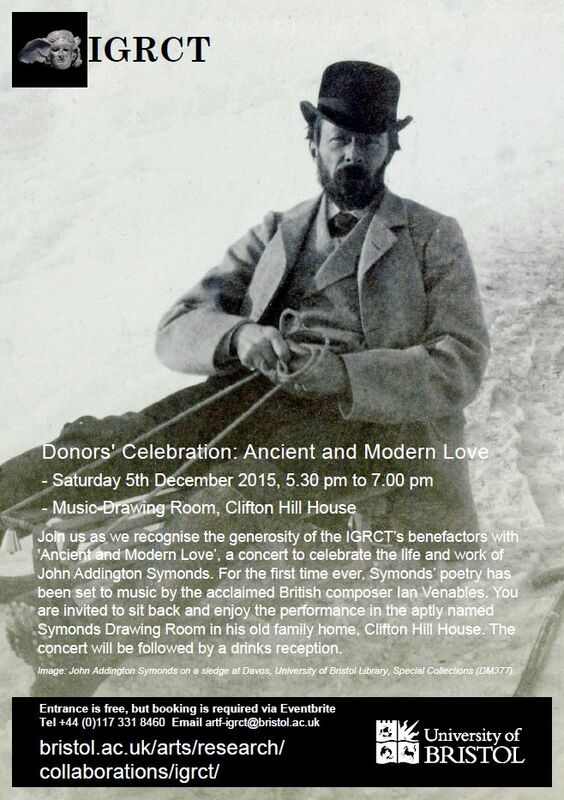 You are invited to sit back and enjoy the performance in the aptly named Symonds Drawing Room in his old family home, Clifton Hill House. The concert will be followed by a drinks reception. All are welcome at this free event. Booking required via Eventbrite. Sponsored by the Institute of Greece, Rome and the Classical Tradition (IGRCT). Find out more about the IGRCT on their website. You can also find them on Facebook and Twitter. Symonds in Bristol is a wonderful website detailing the people and places associated with John Addington Symonds.